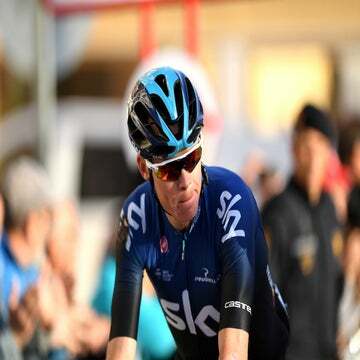 ALTO DE LAS ALLANADAS, Spain (AFP) — Chris Froome (Sky) produced a stunning breakaway up a steep summit finish in stage 4 of the Ruta del Sol to take a two-second lead over Alberto Contador (Tinkoff-Saxo) into Sunday’s final stage. Contador had held a 27-second lead over the 2013 Tour de France champion after winning their first battle of the season on a mountain finish in Friday’s third stage. However, Froome had his revenge on the grueling 4.4km climb to the finish line at Alto de las Allanadas, riding away from his Spanish rival to win the 199.8km stage and grab the leader’s red jersey. Contador held on to finish second with Froome’s teammate Mikel Nieve third. Froome is now the firm favorite to claim the overall win as Sunday’s final stage, a 169.8km leg from Montilla to Alhaurin de la Torre, is likely to be decided among the sprinters.